Product prices and availability are accurate as of 2019-04-23 23:19:33 UTC and are subject to change. Any price and availability information displayed on http://www.amazon.com/ at the time of purchase will apply to the purchase of this product. A prince accused of murder is sent to America. He must prove his innocence and win his country’s throne to save his people from a tyrant. He longs to win his true love’s heart. If he fails, he will have to run for his life and could lose her forever. 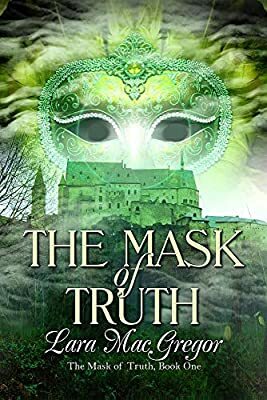 The writer keeps us reading to find out how the revelations of the mask will work for each person, hinting at disaster, teasing our minds to think that, just maybe, their love and friendship is not deep enough to survive. Each character has to come to terms with something in their past before they can come back to the love and friendship they had for so many years. Each of them must find a strength heretofore unknown in their personality. Ms. MacGregor keeps us guessing until the end to find out how far they will go to rebuild on the foundation that’s been severely shaken from the strain. A mask from an unexplained origin shows the bitter truth of those who put it to their faces. It reflects the differences on those who look into it. As one makes choices, the mask reveals different truths. Cory is the rightful heir to the throne but he is falsely accused of murder. Katarina loves Cory to the ends of the universe but cannot tell him. The sacred mask tells her Cory will die if they get together, but her love prevails. She cannot be without Cory. When she makes a different decision, the mask shows a different future. Hers and Cory’s lives are still filled with threats and conflict, but Kat intends to prevail. She will not allow those who want to hurt Cory to win. This is a lyrical story of love and violence, of friends and enemies, of secrets and lies. Only the mask will acknowledge the full extent of the future. Ms. MacGregor fills me with admiration for her woven complexities of tension and conflict. How to shuffle through them and find peace are the questions all the way to the end. A story to read and enjoy. A great tale of love that evil continues to try and thwart. Lara MacGregor lives in Colorado. She has written flash fiction to full-length novels, mostly historical, but other genres as well, such as paranormal, and especially time travel stories. She has a B.A. degree in Modern Languages with a minor in music and an M.A. degree in history. She plays guitar and piano and loves reading as many books as time will allow.